Blogs in eLearning are no longer just for personal sharing and expert opinions. In fact, they can be a powerful and versatile tool in your next eLearning course. In this article, I will explore 7 ways to include blogs in eLearning experiences. There are a variety of ways to add a social learning twist to your eLearning initiatives. The same can be said about collecting learners' feedback and offering online support. However, there is a single asset that can take care of all of the above; using blogs in eLearning. A free blogging platform gives you the opportunity to reach out to your online learners and provide them with an eLearning forum to share their thoughts and opinions. 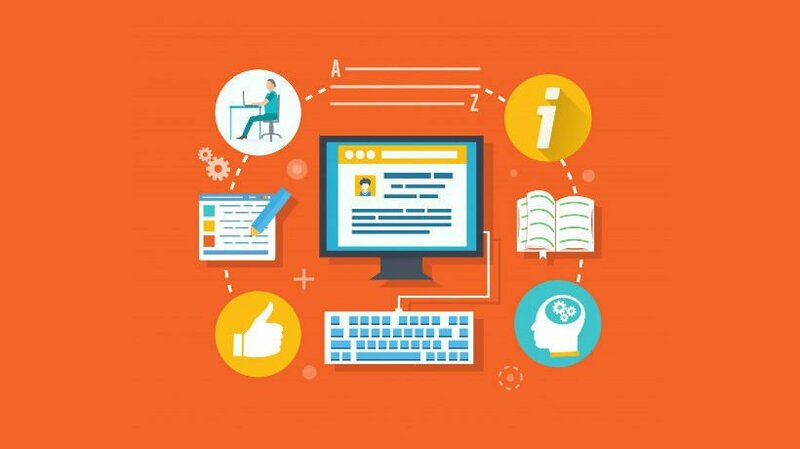 Here are some tips to help you integrate blogs in eLearning course design. One of the challenges that eLearning professionals face is keeping the blog on topic. Things can quickly spiral out of control if netiquette regarding online discussions is not followed. For example, some online learners might go off on a tangent or post comments that may not be acceptable. This is why it’s essential to create guidelines and recommendations before you launch the blog in your next eLearning course. You should also display them on your blog, itself, to remind online learners about the do’s and don’ts of posting. Be clear about what is allowed and what is not, as well as how the online learners can participate. For example, are they able to create their own post or should they only leave comments? Create your own social learning network. It’s important to tie your blog into social media identity. By this I mean that you should use your other social networking pages, such as Facebook and Twitter, to link to blog posts. Likewise, you must include links to your social media pages on the blog, itself, so that online learners know where to find you. Followers or “fans” will immediately know when you’ve created a new post, instead of having to constantly check back for updates. Develop a blog to encourage online discussion. Blogs in eLearning give you the power to use an eLearning forum for your online learners where they can discuss key ideas and address their concerns. For example, you can post a video directly on the blog and then ask them to leave comments about any questions they have or opinions they would like to share. Their peers can then leave their feedback about the comment and expand their own understanding of the topic. Just make sure that they know how to effectively communicate and add value to the online discussion. Encourage online learners to set up their own blogs. eLearning professionals have the opportunity to turn the tables and give online learners control over the blogging experience. Encourage your online learners to start their own blog and update it frequently. They can jot down their thoughts and ideas, create a list of reference links, and even upload their CV. In essence, a blog in eLearning allows them to reflect upon the online learning process and personalize their eLearning experience, as well as paraphrase what they have learned to improve retention and recall. Focus on one key topic at a time. Ideally, your blog should not be all over the eLearning map. You should focus on one key topic or subject and explore all of the ideas, concepts, and tips that it entails. By narrowing the scope you have the ability to delve into the subject matter and avoid cognitive overload. It also increases the likelihood that your blog will become an authoritative source of knowledge. Online learners know that they can rely on your blog to keep them up-to-date with the latest news, trends, and information about your niche. It’s also wise to keep a current list of all the sub-topics you’ve covered on the blog. This can usually be done by adding keyword tags to the posts. Address common questions or concerns. A blog can also be transformed into a support eLearning resource for your audience. If you notice that a question keeps popping up in the comment section or many of your readers share a common concern, you can address these issues in a blog post. Rather than having to answer questions one by one, you have the opportunity to clear things up in a single post. This save you time and makes the online learners feel as they are sharing common concerns with a strong online learning community. They also get the timely support they need to overcome obstacles and get the most out of the eLearning course. Offer tips, tricks, and links to other online resources. You can easily update your blog to include new resource links, such as eLearning articles, eLearning videos, and online presentations that learners may find useful. There is also the option to write tip or how-to articles that help online learners master a task or improve their lives in some way. There is a caveat to this, however, as the tips and tricks must be relevant and relatable. For example, you don’t want to post tips on how to appraise an antique watch if this has absolutely nothing to do with your eLearning course. Sure, it may benefit readers who are searching for this information online, but your audience won’t get any real value from it. It’s important to do some research beforehand to figure out what your online learners need from the blog in eLearning and how you can provide it for them. Conduct surveys and narrow down your potential list of topics so that you can focus on what really matters in their lives. The "trick" to using blogs in eLearning is thinking outside the box. If you can get creative about your approach and discover new and inventive applications for blogging in eLearning, you have power to develop highly social and interactive eLearning experiences. Also interested in learning how you can use social media in your eLearning course design? Read the article The Role of Social Media In eLearning that explores the role of social networking sites in the world of eLearning.